Kristi Burchfiel never thought that the difficult times she found herself stuck in would result in writing Bible studies and devotionals. As a young pastor’s wife in rural Oklahoma, Kristi found herself digging deep into the Bible looking for answers to the questions that overwhelmed her life: How do I prioritize my life? What things should I focus on? What do I do when things don’t work out my way? How do I avoid having regrets later on? Now, 14 years, two kids, and three churches later, Kristi strives to help others find the answers to their day-to-day situations and struggles by reading and applying God’s Word. She works daily to put God’s truths into practice and invites others to share in the peace of God through the truths found in God’s word with the devotionals posted on her blog and her 14 published books. 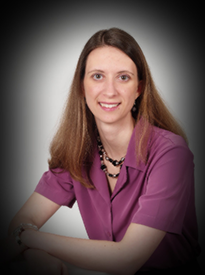 Kristi grew up in Valley Center, Kansas and received her Bachelor’s and Master’s degrees from Oklahoma Baptist University in Shawnee, Oklahoma. She has been married to her husband D Burchfiel for 18 years, and they have 2 children, Rebekah and Andrew. They currently make their home in Wichita, Kansas where D is a pastor in a local church. In a word, obedience inspired me to write. I really thought all the study and research I was doing was just for my own benefit. However, I really felt impressed that if I was learning and getting answers to my questions, then maybe others had the same questions, too. I started writing out of a desire to see others learn and apply the same truths that I was learning and applying. It sort of grew from there and I’ve just continued to seek to be obedient to share what God has taught me. I am a planner, so I have to plan out my Bible Study books. I spend time doing research and study. I make lots of notes and charts and graphs and cross-references before I even start thinking about writing a sentence that a reader would read. I like to make sure I know exactly what I believe God is trying to say through me before I sit down to actually write the words that will eventually show up in the book. I am slow. For my Bible study books, it typically takes me years to complete them. On the other hand, my devotional books are much more spontaneous. I sit down and I write a devotional every morning. It’s something that I do for me and for that day, that is the truth that I feel that God has for me to learn and apply today. I write those very quickly and they seem to flow onto the page with ease. It’s fun to have two very different approaches as it keeps things fresh and new each time I sit down to write. For me, the biggest thing is to know why I write. I have very specific and clear reasons why I sit down and put pen to paper, or fingers to keyboard. Knowing this has made it much easier to keep going when I get stuck, get writers block, or get discouraged. I can always go back to my reasons for why I do what I do. I am committed to seeing people not just know what the Bible says, but know how to apply it to their daily lives. I am passionate about this and that passion drives me to get out of bed early, work through weekends, and all the other sacrifices that need to be made in order to keep doing this. If you can’t easily identify why you are writing, you aren’t destined to do it for very long. Soon something else will pop up to distract you and tear your attention away from the work that is writing. For me, each book is different and I consider all my options for each one. I believe that knowing the book’s intended audience, how I plan to sell the book, and other such considerations go a long way in determining how I choose to publish my books. For some, I used a subsidy publisher. For others I’ve self-published. Some of my books are only available as an e-book. I have 1 book that is only available in print. I think it’s important to drill down and understand exactly who your audience is, where and why they buy books, and what is appealing to them in order to make a decision on how I publish books. As an example, for the one book that I have that is only available as a paperback. When I got ready to publish it, I realized that I was doing a lot of speaking engagements. E-books are tough to sell on a table at the back of the room when I go somewhere to speak. My audiences are frequently older, so I wanted a paperback with slightly larger than normal print type. I wanted to be able to make those decisions and have book in hand quickly, so I made a decision to only publish a paperback and to go though a self-publishing site. I don’t sell very many of that book online, but it’s sells quite well when I go and speak. I think it will continue to be a mixed bag. Ebooks vs. Paperback will continue to be a hot-button issue, but I don’t think either one will go away completely. There will always be a need/desire for paperback books. I think as writers, we will continue to have to get to know our books and our audiences so that we can make much more targeted decisions on the best way to reach our readers with our books. Self-publishing will continue to grow, and it is my hope that we, as a community of writers, will continue to improve on the quality of the books that are self-published. As the quality improves, so will the overall acceptance of self-published works among readers, distributors, and others that feed off the publishing industry.